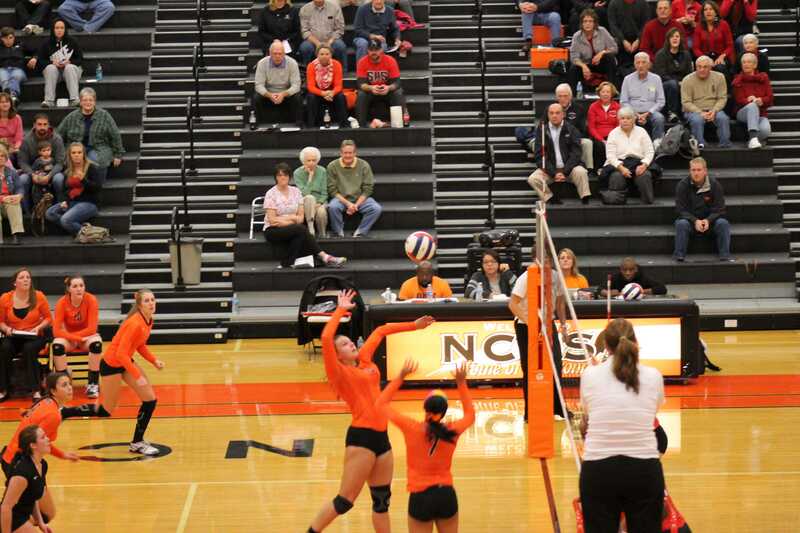 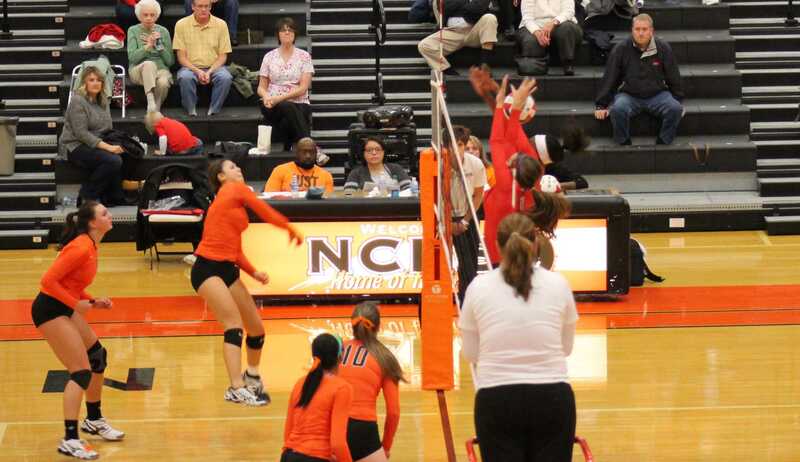 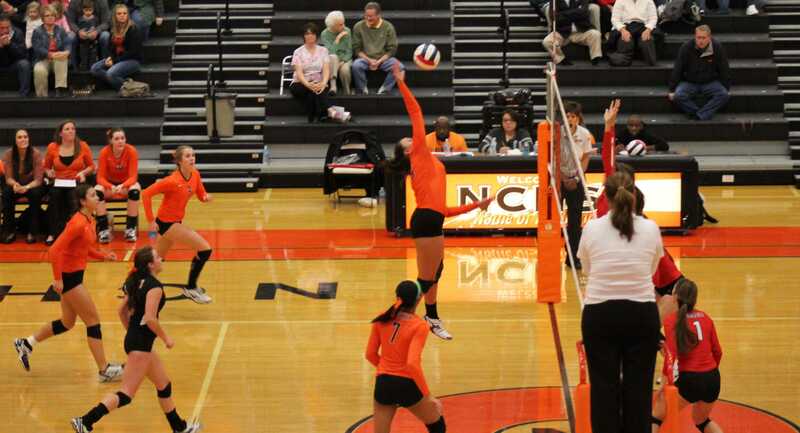 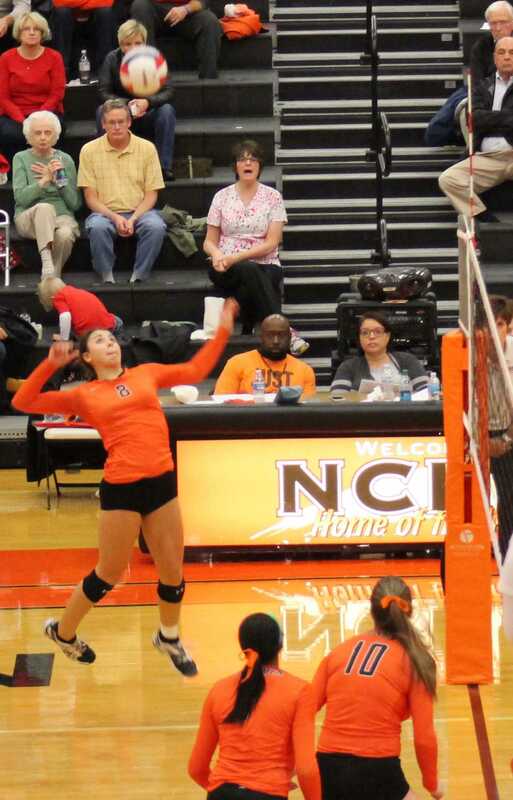 Micki Quakenbush (11) attempts a kill against Springfield in the Lady Iron’s first game. 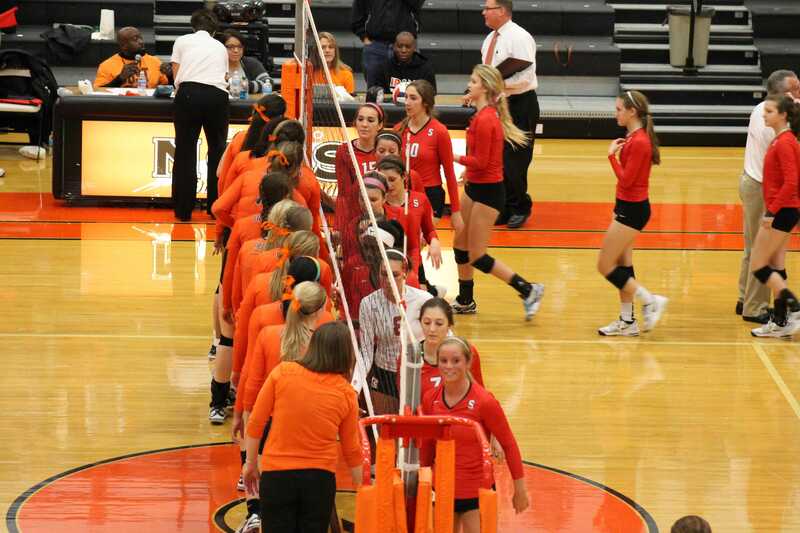 Lady Iron congratulate their opponents after winning the Sectional title in 3 games. 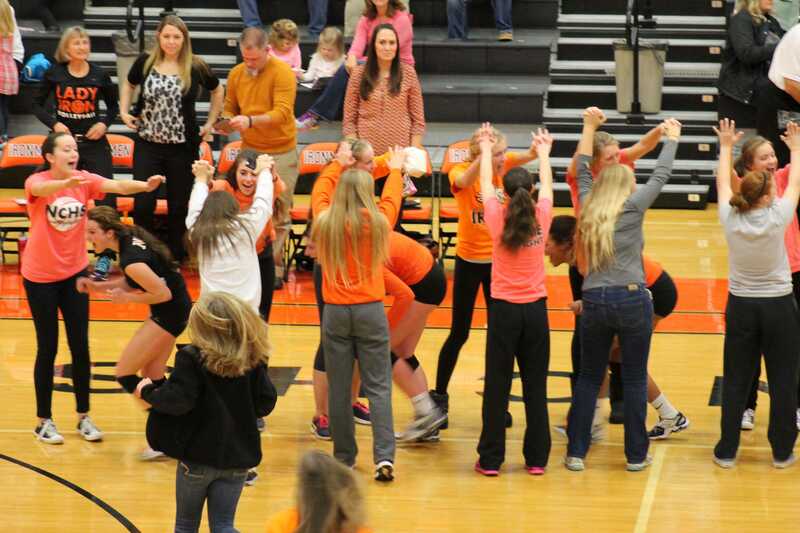 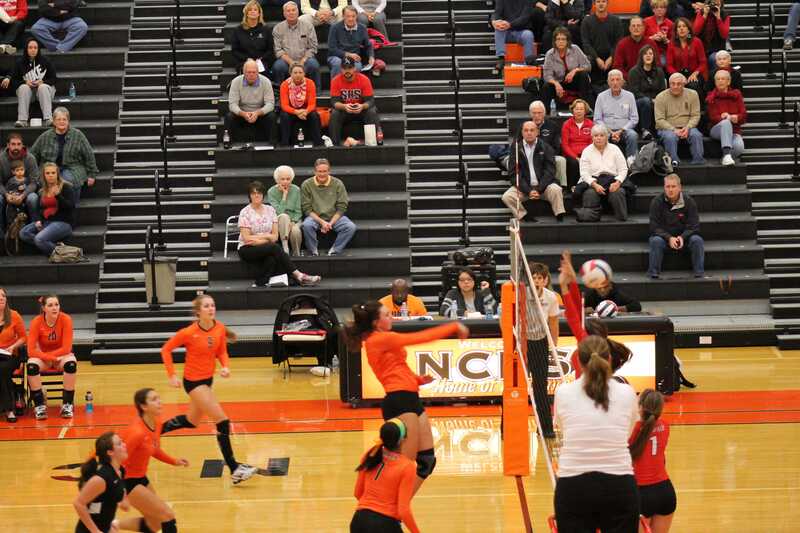 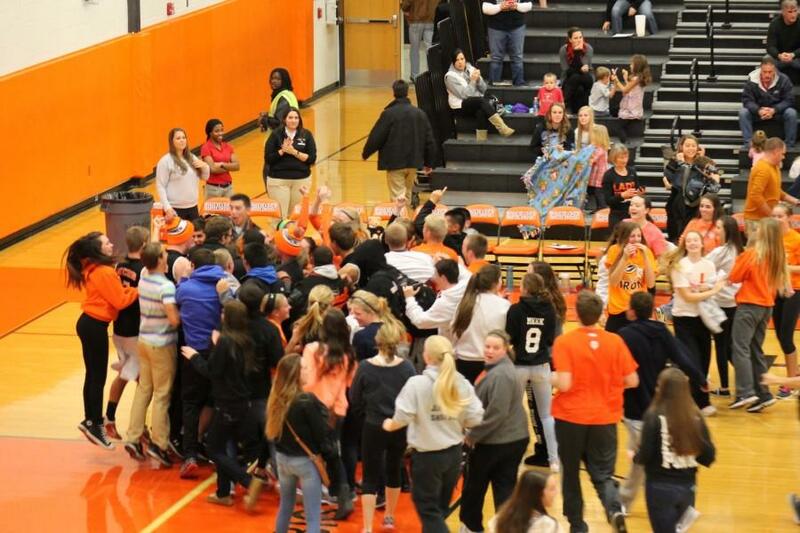 Normal Community fans storm the court to celebrate Lady Iron’s Sectional win over the Senators.